We are honoured to be the chosen sign company of discerning clients around the world. Here's what a few people have to say about our work. "We received the sign today and I couldn't wait until Thursday to give it to my husband. He absolutely loves it!! 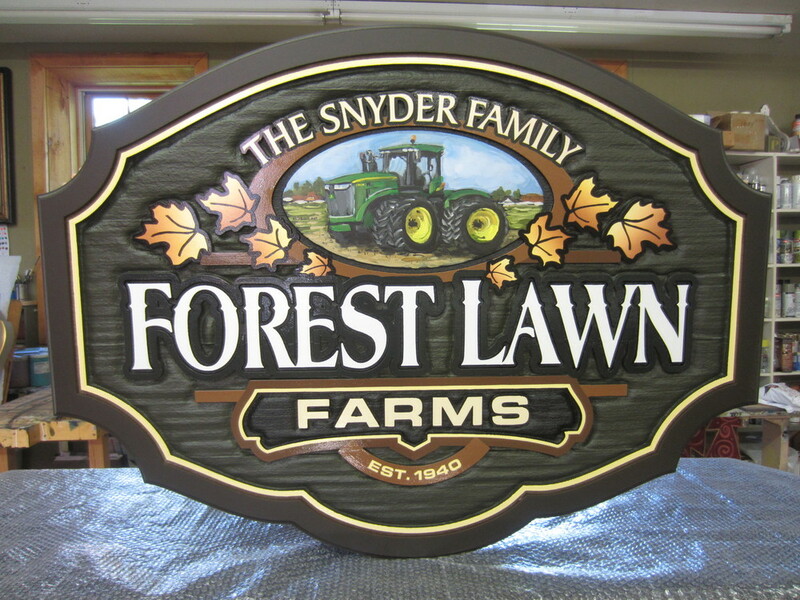 We live in a Farming community and as such I will recommend your company to everyone who needs a new sign! The workmanship is amazing. Truly love this sign. Thanks for all of your hard work and support throughout the design process!" - Marie Snyder, Forest Lawn Farms Ltd.
"Just saw your signs featured on CTV Ottawa and thought you should know that one of your signs has made its way to Lake Chapala, Mexico. It was my Mom and Dad's (Rona and Roger McNeal) sign that they had at their house on the King's Road just outside of Martintown. They have both passed on and we now have it in their "Rose Garden" at our little ranch in the small little town of San Nicolas de Ibarra, Jalisco, Mexico. So your sign is still being appreciated after all these years and still looks great. We wish you continued success." - Janis McNeal and Ron Johnson, Mexico.